Have you ever felt like you just want to disappear? That no matter what you do, the feelings of self-blame and embarrassment lurk beneath the surface. When left untended to shame begin to shape who you become, and how you interact with others. It will also keep you paralyzed indecision and fear. Learn how to silence the shame in your life by identifying where the shame stems from, and how you can begin to show up for yourself through empathy. Did you know that you can now support the podcast by shopping our Amazon Affiliate link? When you click on the link below, it will take you directly to Amazon and with every purchase you make a portion will benefit The Couragecast. It’s a win-win! You can also support us financially by becoming part of our Patreon community. For as little as $2 a month, you can help us grow the podcast in a very tangible way. 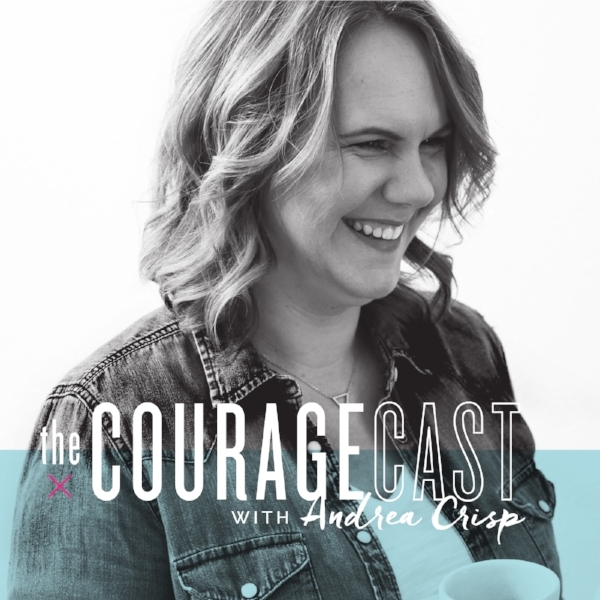 It's hard to believe that we have reached our fiftieth episode here on The Couragecast. It is a huge milestone for us, and one that we feel very proud to have accomplished. It would not have been the same without you being on the journey with us. In this episode, I'm sharing the highs and lows of starting a podcast and what it took to get this project off the ground. I hope you enjoy and will celebrate this amazing journey with us! You have what it takes to win in life and in business! If you feel like you need to be empowered to take the next step in your life, then schedule a FREE 30 minute strategy session. Andrea, I want to schedule a strategy session! What you are doing or not doing may be limiting your capabilities. Let me ask you a question... what do you believe to be true about your life? What we believe about ourselves will ultimately come to fruition because our thoughts and words have so much power. You may want to do amazing things with your life, but you feel held back by your own thoughts. Those thoughts could be sabotaging you from really walking in your purpose and potential. Are you taking the time to refuel and recharge? If you feel exhausted, anxious, or even a little overwhelmed then you need to listen to this episode. Today I’m going to talk about why I to take some time out to rest so that I’m able to dream bigger dreams for my life. It was a complete game changer when I started every day by setting an intention for my day. Goals are great and we all need to have clear goals in our lives, but if we don’t set intention within our goals then they can seem a little elusive and staying connected to them, and accomplishing them will be quite difficult. I know for myself that when I set a goal it’s not good enough for me to be externally motivated by the success of the goal, I also have to be internally motivated to accomplish it. Setting intentions allow you to focus and stay present in the moment so that you can really enjoy life. When you're able to really set your emotional/spiritual tone for the day then everything else accompanies it. All of the sudden you will see a physical shift in your life as well. Why do you think we have such a hard time with failure? I’m pretty sure that I’ve avoided failure my entire life, which has also kept me playing small for many years. Now I’ve mentioned this many times before, but I’m a ONE on the Enneagram (the perfectionist - or perfectionist in recovery). For me failure was just not an option. Neither was risk. Either I knew something was going to be a success so I did it, or I didn’t do anything at all. It doesn't really matter what you are wanting to do with your life, in your business, or in relationships. Failure is inevitable at some point. But there are so many lessons that we can take away from having to fail. Failure gives us EXPERIENCE and with it comes fresh perspective. Failure instills in us RESILIENCE and teaches us to have courage. Failure reveals what you VALUE and that in turn makes space for creativity. Now that the winter Olympics in Pyeongchang has come to a close I am almost at a loss for what to do with my free time. For the past two weeks, I was captivated by winter sports and elite athletes who compete at the highest level on the world biggest stage. It amazes me the time and energy that these Olympians have dedicated to being the best in their sport. And although it takes some very special to be an Olympian, it takes something even greater to be an Olympic Champion. In this episode, I'm breaking down what we can learn from these amazing athletes and how having a winning mindset can be applied to our lives as well.